The words of a brilliant man, or well, a brilliant teddy bear, are amongst those you’ll hear in this entertaining, much-awaited five reel online slot from Blueprint. Seth MacFarlane is the voice of a number of characters known all over the world, who come to life in this video slot with the same energy as in the films and series. This time, he comes across as the crazy, sweet, and slightly inebriated teddy bear by the name of Ted. We all know him, don’t we? Ted is a movie released back in 2012, and also McFarlane’s directorial debut, with additional voiceovers by Mark Wahlberg and Mila Kunis. At a young age, a boy (Wahlberg) makes a wish for his teddy bear to come to life so he can have a friend. Strangely enough, TED does come to life and the story of this bear and the boy takes you along their dramatic, funny, crazy, and extremely amusing journey. 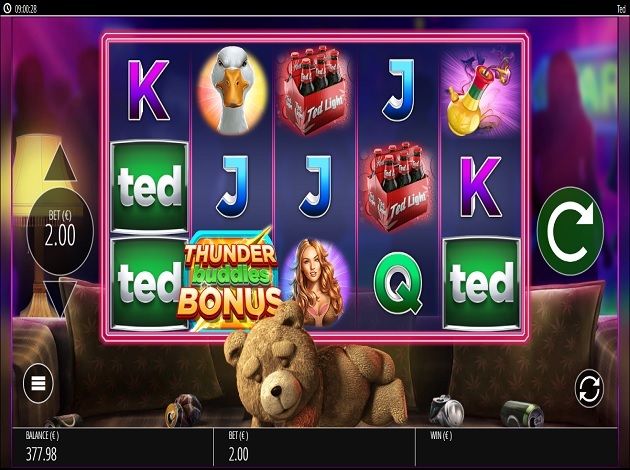 Now, Ted has made it to the world of online casinos in a Video Slot which as action-packed as its two movies are. Ted comes with 5 reels on 3 rows, and 20 paylines and an RTP of 95.80%. Winning combinations are from left to right, and some symbols can pay a winning line with only two symbols on the reels. Bet from as little as € 0.2; every time you land a win, look out for Ted exclaiming happily! There’s a tonne of game features waiting for you to trigger them: the Lazer Gun Infectious Wilds, the Psychedelic Super Spin, the Beer Shuffle, the Psychedelic Colossal Spin, the TV Streak and the Psychedelic Bonus Boost. The Laser Gun Wilds will see Ted spring from his couch and fire his Laser Gun at the reels – the beam will bounce around the screen and turn symbols into wild, to provide you with winning combinations. The Beer Streak Feature involves Ted jump up from his couch and spray beer over the reels, covering you winning combination in the froth. The symbols shuffle around into a winning combination repeatedly until there are no more bubbles left. In the Psychedelic Super Spins, Ted awakes and takes a smoke, filling the reels in them. Special Ted symbols are added to the reels to give you a cluster of wins. In Psychedelic Colossal Spins, Ted is smoking again and when the air clears, you will see that 3 reels combine into one colossal reel and therefore one colossal winning combination. Ted gets to play around with TV remote control as well with the TV Remote Symbol Streak Feature, where the reels re-spin as winning symbols are locked in place – until you can no longer win anything else. The Psychedelic Bonus Boost Feature, finally, sees Ted smoking from his bong and add a number of bonus symbols to the reels – which can possibly land you the Thunder Buddies Bonus Feature. In addition to all these, there are 5 other bonuses triggered by the Thunder Buddies Bonus Symbol, where landing three of these symbols take you up the ladder to win one of five bonuses – including the Wheel of Fartune, the Bar Crawl Bonus, the S Mart Free Spins, the Flash Free Spins and the Ted Big Money Bonus. Symbols on the Ted video slot are split in two: the traditional card symbols, offering a maximum 100x multiplier for five hits on the reels, while the other symbols offer bigger prizes. The Beer stack and the bong offer a maximum 200x multiplier, the goose offers 300x, the Ted symbol offers a whopping 500x prize for five hits, and same goes for the Wild symbol – 500x. Ted is a game inspired by the hilarious and entertaining movie about Ted and John, who grew up together and have to face adulthood and taking important life decisions. Seth MacFarlane’s hilarious voiceover of Ted in the movie is added to the repertoire of other majestic interpretations such as those of Peter, Stewie, and Brian Griffin, and Glenn Quagmire from The Family Guy. Every once in a while he blurts out stuff like “sweet”, “it’s party time” and a lot of other funny things. This adds to the fun atmosphere that the game already grants you. 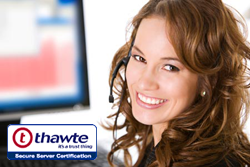 The graphics and design are very well executed, with crystal clear details. The game actually looks like the movies, with Ted in full graphics, the bar scenes in the backdrop, the beer cans on the sofa, and great animations. Ted is a game that you surely want to try – so don’t you dare miss it! Blueprint Gaming is a company with over 50 years’ experience in the gaming industry, creating and developing unique products for the biggest operators in the business. Blueprint focuses both on creating and developing original, in-house content, as well as products for third party brands such as branded games. The original content is all derived from players’ interests and fads; the themes are created from what the market is interested in keeping players entertained and hooked onto their games. Blueprint has done that wonderfully, providing players with immensely creative, popular, and entertaining sets of themes and moods. The branded games they have created are all developed and created with the aim of expanding on the players’ familiarity with popular brands from the world of showbiz, and more. Don’t miss out on the opportunity to play a thrilling Battle with our special, unique and very first social online casino experience – Battle of Slots. Videoslots.com gives you the chance to play first time Battles against your friends and other players on Videoslots.com with games from NetEnt, Thunderkick and Play’N Go. There is only one Battle of Slots – and you’ll only find it on Videoslots.com!